Fillings are the most common restorative dental procedure performed. 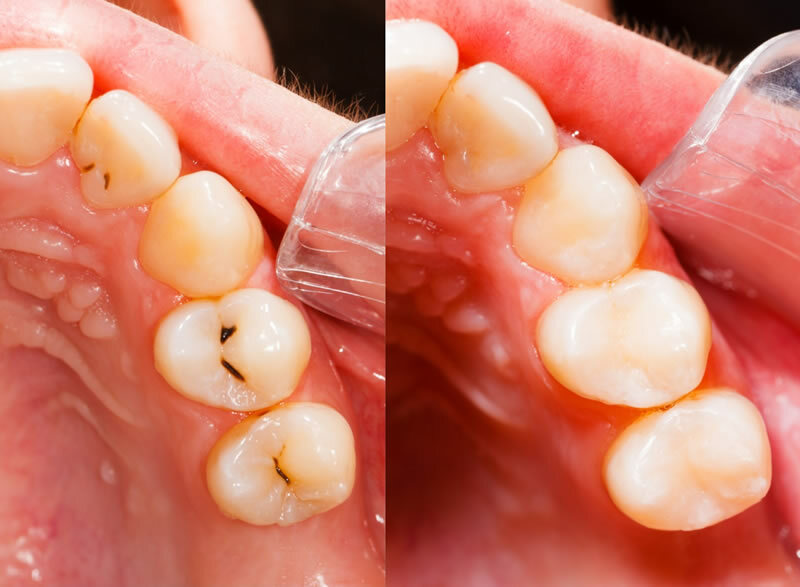 After decay is removed from a tooth, a filling is used to give strength back to the tooth. White filling has been used to replace silver/amalgam filling. Today, white filling is the standard composite resin used to restore the tooth and is matched with your natural tooth color. Other than the restorative benefits, white filling also provides long-lasting, aesthetically pleasing results that leave you confidently smiling and showing off your beautiful teeth.